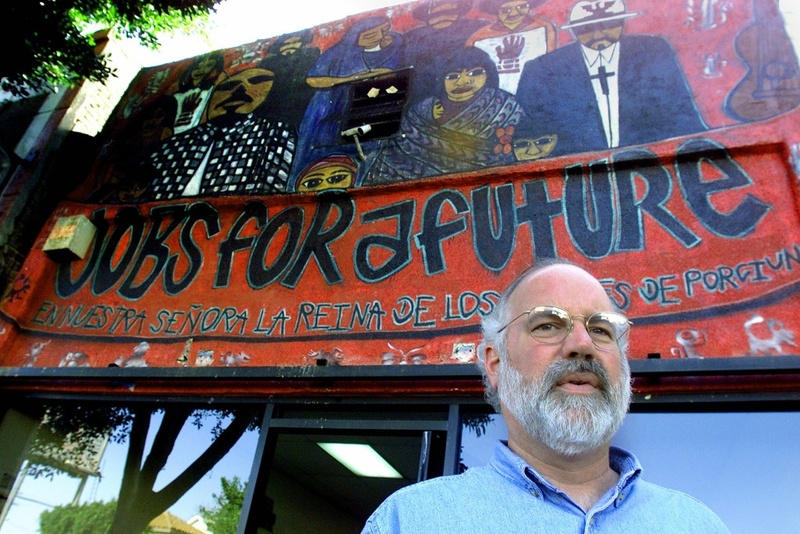 Jesuit Priest Father Greg Boyle poses outside the 'Jobs for a Future' employment center he runs for Latino gang members who want out of a life of crime and gangs on December 18, 2000 in the East Los Angeles neighborhood of Boyle Heights. 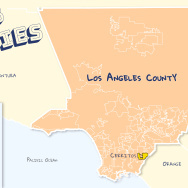 East LA is home to 60-odd street gangs totalling 10,000 members. President Obama was in California last week for several big fundraisers, a speech at Los Angeles Trade Technical College and a brief meeting with Father Gregory Boyle. Father Boyle is the founder of L.A.'s Homeboy Industries, an organization which helps former gang members turn their lives around with job training, counseling and tattoo removal. The president met with Father Boyle and four teens as part of his 'My Brother's Keeper' initiative aimed at improving opportunities for young men and boys of color. Father Boyle joins Take Two to discuss his meeting with the president.